Women in the operational area were trained on poultry rearing by experts who introduced them to the basics of running a poultry (broiler) enterprise and various poultry management practices, including the construction of poultry sheds. On completion of the training, the trained women were explained how to link up with the state government and access financial assistance under the various schemes they were also provided with Banaraja chicks to rear. 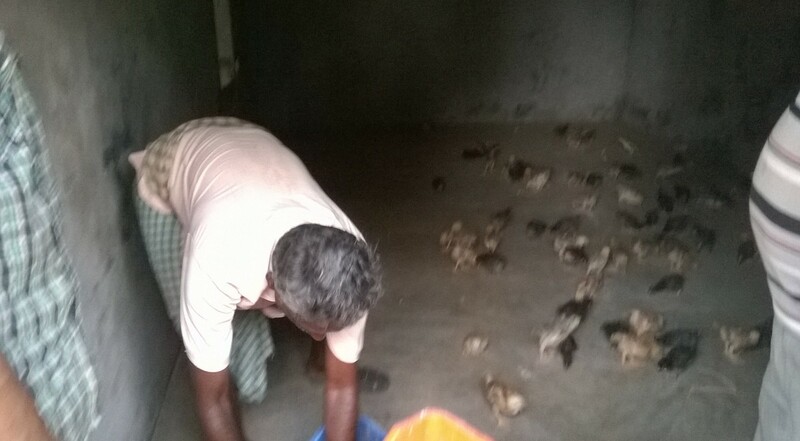 The birds are now being sold to the cooperative that in turn sells it to the vendors The women can also take the help of veterinarian appointed by the cooperative Our staff from VIEWS have offered a holding support to the women poultry rearers and regularly visit each poultry shed, to monitor the performance and growth of the birds. In case some poultry rearing practices needed to be discussed in detail, we gather the women poultry rearers at a common place in the village and discuss the problems and solutions.